A winning, solid, responsible and visionary project is recognized for its investment in base categories. In recent years, Sada Cruzeiro has become a hotbed of talents, being recognized as one of the greatest trainers of athletes in Brazil. Nowadays the club has several young teams, which are the future of Brazilian volleyball. The boys are accompanied by qualified professionals, from the most varied areas, and all under the watch of the technical of the professional team of Sada Cruzeiro. From an early age, these young athletes already know the guidelines and philosophy of the “Champion of Everything”. 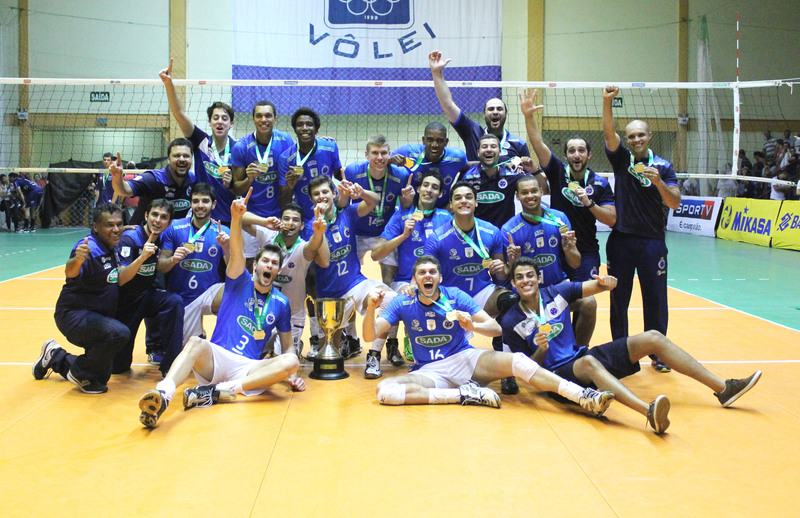 Sada Cruzeiro junior teams are already champions of various regional and national tournaments, including Superliga B (the second most important national championship in Brazil), won by a team formed by these young people in 2015. In order to serve the female audience, the “Projeto Sada Argos” in Contagem, is also aimed at sports training and competitions, with u-14, u-15 and u-16 teams in a total of 60 girls. This program is part of the social and sports project Sada Vôlei Sesi, which is located in Betim and Contagem, and the girls who stand out are referred to the Sada Argos. The Sada Cruzeiro team performs tests to compose its base categories once a year (between November and December). Only athletes at the specific ages for each category (usually between 16 and 18) can be registered for the tests for the base teams. – Medical examinations in order to attest the candidate’s physical well-being.